This series of blog posts will focus on the various creatures, heroes and guilds that inhabit the world of Esperia and in particular the Kingdom of Delfinnia. This first section will focus on the Fell Beasts of the void. ‘Fell Beasts are the scourge of this world. Made by a mad god and unleashed by a foolish mage, no other plague has slain so many and brought so much pain to the realms of men’ – Ferran of BlackMoor, Nightblade. The Fell Beasts were created before man. A war between gods ended in a stalemate. In order to break the impasse the gods made a wager. Whoever could create the strongest creature would be declared the winner. The god of balance and order created men, beings strong and gifted with magic. The mad god Vectrix, however created the Void and the Fell Beasts. The creatures were imbued with Vectrix’s powers, a power that the mages call void magic. Mankind waged war upon the beasts until finally they achieved victory and the god of balance banished Vectrix and his abominations into the void. Only two men were left by the war’s end. Niveren and his brother, Danon. As thanks for their heroism the gods gifted Niveren and Danon with wives and created more people for them to share the world with. Centuries passed and mankind began to forget the tales of old. A mage whose name was lost to history, accidentally opened up a portal, a portal to the void. Fell beasts swarmed through the breach and as more flooded into reality the barriers between the real world and the void fractured. To counter the threat the kingdoms of mankind united to battle the threat. Millions perished and all hope seemed lost until monster hunters skilled with magic entered the fray. With the Nightblades at their side the armies of men culled the Fell Beasts numbers enough to allow the wizard Aljeron to seal the breach. Despite his best efforts however the damage was done and Fell Beasts still slip into the real world from time to time. Fell Beasts come in different shapes and sizes but one thing they all have in common is their lust for human flesh. Normal weaponry cannot slay a Fell Beast, only weapons made of silver, pure metals or magic can do so. A typical King’s Legion soldier is equipped with both steel and silver weaponry. The Nightblades weapon of choice, the Tourmaline blade is perfect for the task. Such weapons are made of pure magical energy powered by the tourmaline crystals affixed to the hilt and summoned to life by the magic of the Nightblade. Small goblin like creatures that are covered in brown razor sharp fur. Their eyes are bulbous and yellow and their mouths are filled with dagger like teeth. Their small size means that they are not much of a threat on their own but Pucks very rarely hunt alone. Puck packs can number from a dozen to thousands. If a pack descends upon a village or undefended town then it will leave no-one alive. Perhaps the most feared of all Fell Beasts is the Banshee. These haunting beasts are more comprised of magic then flesh. They often haunt the moorlands, marshes and woods of the world, praying on any unwary travellers that stray into their hunting grounds. Their most distinguishable feature is their scream which paralyses its prey. Instead of eating their prey, a Banshee instead will absorb the energy from its victim. 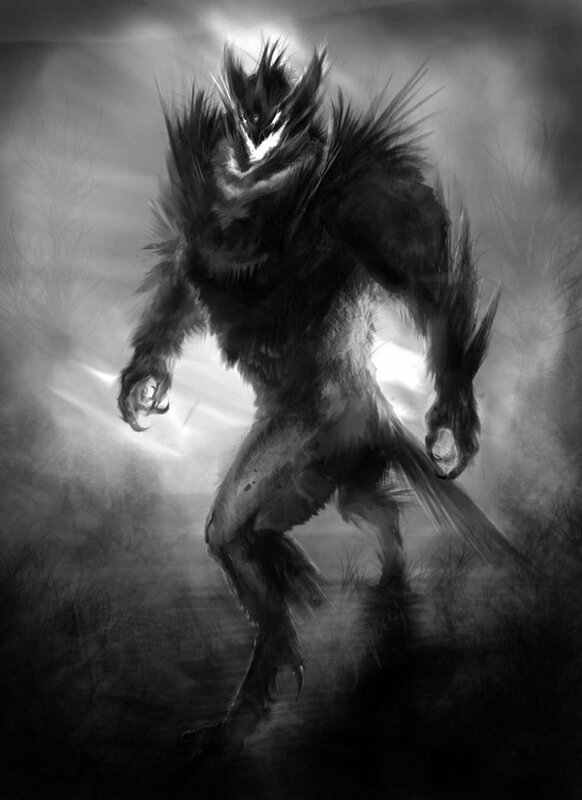 Banshees also have the ability to turn its prey into another Banshee. ‘You can always tell when a Banshee is near. The air grows icy cold and the hairs on your neck stand on end…then comes the scream’ – Sophia Cunning, Witch Hunter. 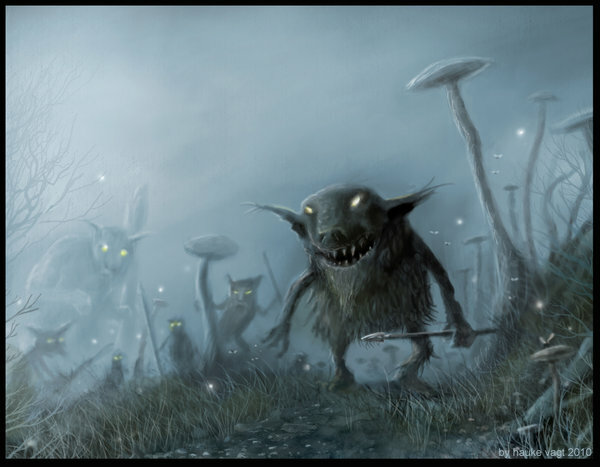 Goblins are perhaps the most common of the Fell Beasts and the ones most similar to men. They are quite intelligent and have the ability to craft crude weaponry and perform complex strategies. When fighting Goblins, Legion commanders have compared them to battling human foes. Goblins live deep underground, rising to the surface only to hunt at night. Finding goblin lairs is the primary job of the Nightblades. 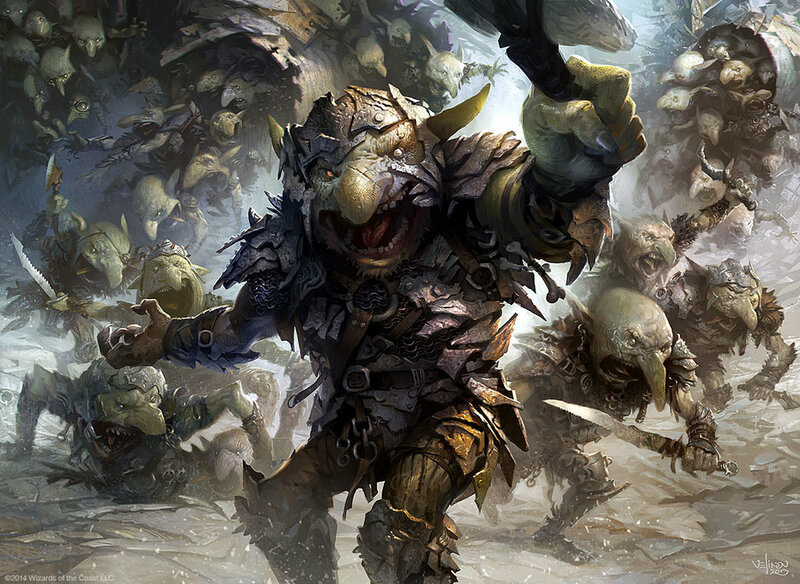 The most powerful of goblin kind are the Redcaps, these goblins wear caps coated with human blood and appear to act as the leaders of goblin clans. These behemoths are thankfully incredibly rare. The size of a castle and with hides like iron these creatures have dealt untold devastation to cities across the world of Esperia. In appearance they look like massive four legged horned beasts with cavernous mouths full of thousands of needle like teeth. The last to have appeared in Delfinnia was three hundred years ago and was responsible for almost destroying the city of BlackMoor. Whole armies have gone against them only to be consumed. In the Magic Wars it was said that the dark mages used these creatures to assault enemy fortresses. The ultimate killing machines. These foul creatures are bi-peds that stand taller than a man. They are hideous to behold with features straight out of a nightmare. As well as their deadly jaws the Negrist have razor blades instead of arms and are covered in poisonous hairs. 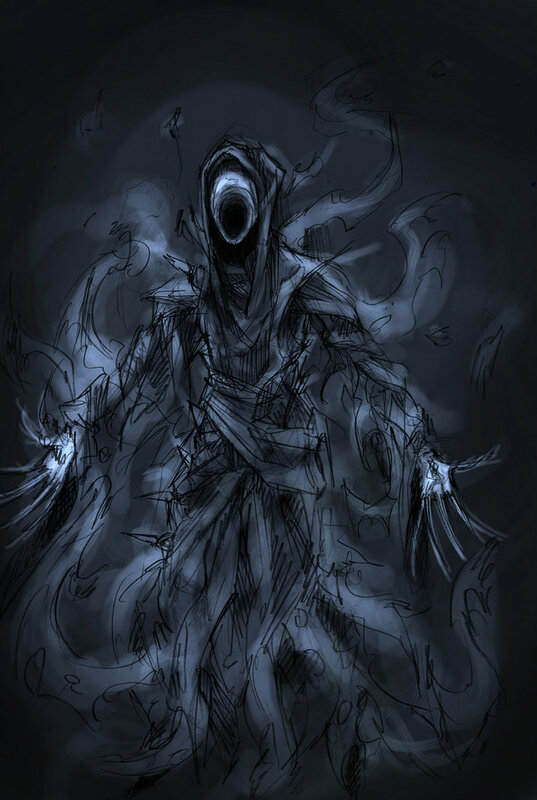 They are also gifted with powerful void magic’s which enable them to blend in with their surroundings and resist magic’s used against them by mages or Nightblades. Dragons are not true Fell beasts but instead victims of a great betrayal at the dawn of time. Legends say that the mighty creatures were the first to have been made by the first Goddess Aniron. They were gifted with immense magical power and knowledge and defended the world of their creator. Their dominance was short-lived however as Vectrix, jealous of Aniron’s love for them banished them to the void. 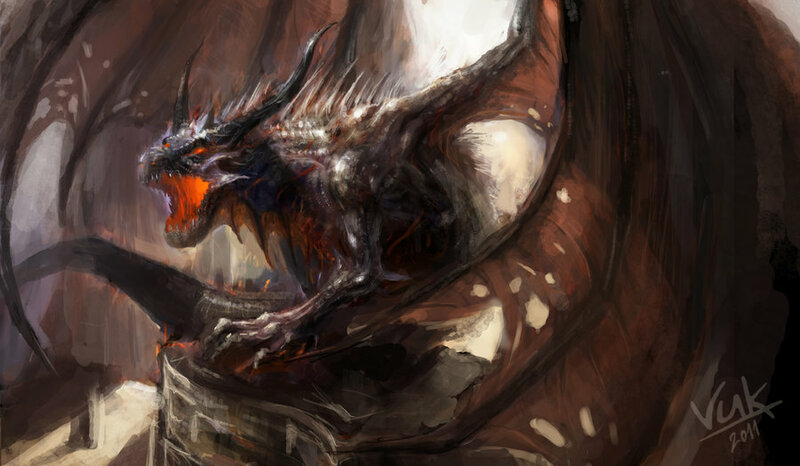 Due to their immortality it is said that the dragons still live and are biding their time to escape their prison. Part 2 will focus on the various guilds that inhabit the world of Esperia. Nice one. Very informative. It make me want do do something similar.